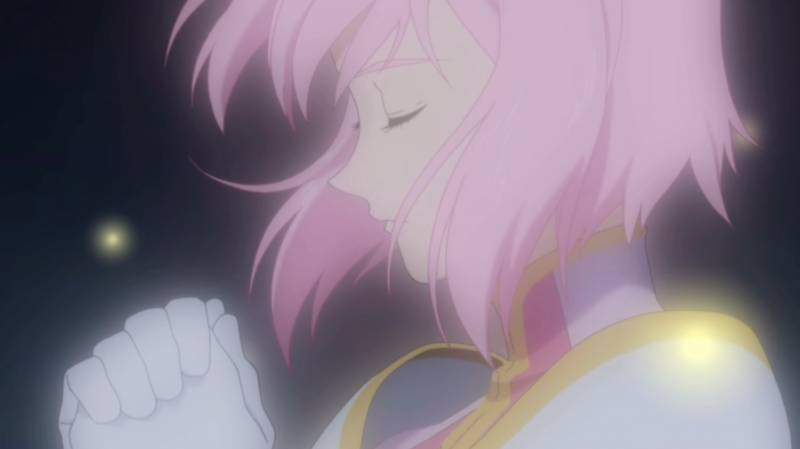 Tales of Vesperia is one of many iterations of a beloved franchise with a passionate following. Those who love Tales games are typically made up of people with a strong sense of nostalgia attached to one particular title. Of all Tales games, there are three that have garnered this particular nostalgic fan base. They are, in order of release date: Tales of the Abyss, Tales of Symphonia, and Tales of Vesperia. As we’ve seen an Abyss remaster on 3DS and a Symphonia remaster on Wii U, it comes as no surprise (but with great elation) as we now see the most modern of the Top 3 Tales games come to the most modern of Nintendo’s platforms. For the uninitiated, Tales games are much like Final Fantasy games in that the stories are entirely unconnected. 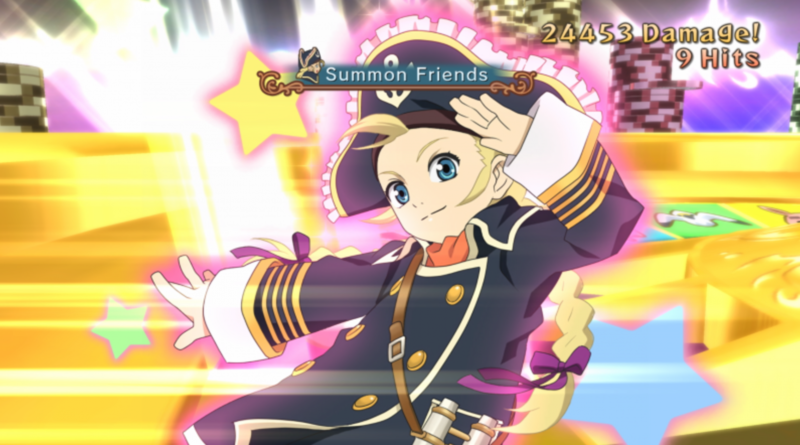 There is no need to worry about missing anything if this is your first go-round on the Tales franchise. And, frankly, this is a great place to start. 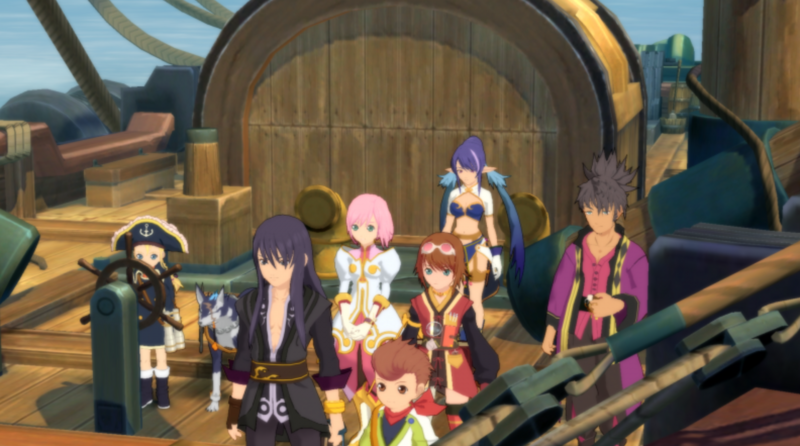 Tales of Vesperia, originally released on the PS3 and Xbox 360, follows a set of diverse characters (I mean, there’s a pipe-smoking dog involved here) around a mythical world to dive through a fairly standard set of JRPG tropes on their journey to save the world. That being said, as JRPGs go this story has some interesting twists and turns that are worth sticking around for. I’m a guy who more often than not mashes through dialogue and skips the blah-blah, but in this game I find myself much more engaged if I allow myself to follow along and succumb to the tropeyness of it all. There’s a lot of dialogue here, with 100% of it voice acted. There are many purists who will claim you have no taste if you don’t choose the Japanese voice options, but I myself am fine with the mediocrity of the English voice actors and find them more immersive. It is nice to have choices, regardless, and if you ever want to try one out you can reboot the game and switch. Some of the dialogue comes in the form of “skits” that pop up between characters. These are initiated either in town or in the world map, as a prompt hits the corner of your screen alerting you to push the minus button to listen. Skits are skippable, if you don’t care about every little detail, although participating and triggering all of them will unlock further choices in the end. Additionally, understanding your characters personalities will at times assist you in unlocking the games version of puzzles. 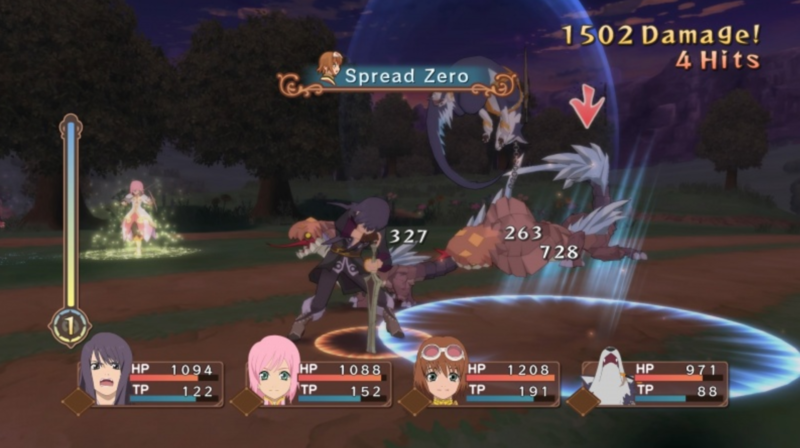 Combat is where the Tales franchise truly shines, and Vesperia especially so. 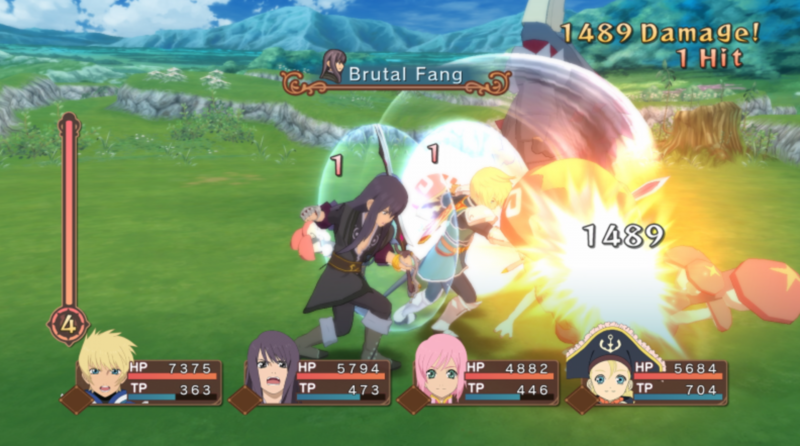 The combat system in Tales games are unique in that they play out in real-time with action game mechanics. Encountering enemies on an overworld or in a dungeon enters you, via a brief transition screen, into a uniquely controlled action-style battle. Your characters and the enemies are confined to a circle and you are given the ability to run, jump, block, and attack. Your attacks come in two primary forms: standard attacks and Artes. Both versions are controlled with one button, but variations arise depending on which direction you’re pushing while pressing said button. Your Artes are your skills/spells/etc, and these of course get stronger over the course of the game and continue unlocking as you level up. Using the Artes themselves is often the key to unlocking new or upgraded Artes, but the game doesn’t technically explain this to you. 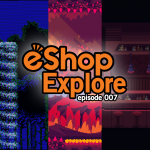 It is very much a matter of accidental discovery in what unlocks where, and I fully encourage you to not worry about such things and just let it unfold organically for your first play-through. There are also equipment drops that will come along through your time with the game and attached to each of them will be specific skills. These skills will, after a period of time wielding the equipment, be able to be used by your character whether you’ve equipped the item or not. And because you will often have the ability to craft new gear from your old gear, you’ll be encouraged to never sell your equipment off for fear of missing out on skills and items to come. Of course if all this stresses you out there are plenty of guides online, but I’d recommend waiting until New Game+ to do this. New Game+ is… the coolest. It’s just the best. It allows you to scale up the difficulty and port over the Grade earned in order to unlock boons for your characters. 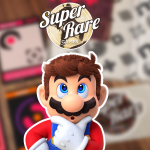 Grade is earned in battles depending on how well you perform throughout the course of the game. You can gain Grade, and you can lose Grade, so ultimately your success in the first run will affect your strength as you start the next. Of course there are methods to grind Grade should you be overly concerned with getting the most unlocks as possible for your 2nd play-through. And grinding is something you’ll need to do in this game often, as you come across bosses or foes that are simply too strong for your current party to handle. Luckily, this bothered me none seeing as how the combat system is such a pleasure to play. 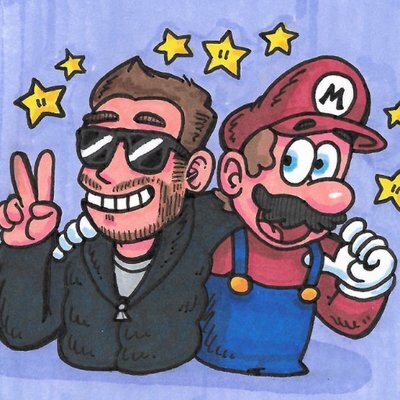 Speaking of the combat system, there is a couch co-op mode where the second player can come along on your adventures and take control of whatever character sits in the 2nd slot. 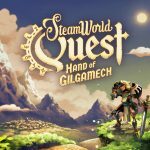 If you have someone interested in experiencing this game and its world with you, this is an absolute blast and a cool way to play. Nothing earth shattering, but a nice addition. 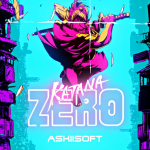 It seems the Definitive Edition of this game offers little more than increased resolution and crisper textures, both of which are completely welcome of course. In docked mode, the graphics in towns, battles, and even the semi-archaic over-world were colorful and really popped nicely. I immediately recognized the difference between this and its last-gen counterpart. However, switching to handheld loses much of that luster as the resolution drops and the colors get washed out. Frankly, the handheld mode looks a bit like it did on last-gen as far as my memory serves, and I have absolutely no problem with that. But it is worth noting. Also worth noting is that the frame rate drops in towns and over-worlds. It seems to be a stable 60fps in battles as far as my eyes can tell, which is absolutely ideal, but does seem to go down to range between 30-45 elsewhere. Not a deal breaker, but certainly noticeable. I also would have really liked this Definitive Edition to consider adding a new and more modern save system. Save points really bum me out, and on occasion my son will be harassing me to play a game on my Switch but I’ll have to make him wait as I dart towards whatever nearest save point there is in a hurry and missing potential dialogue points in my rush. It feels to me that without adding much more, a save-anywhere system might have been a nice touch, but I can appreciate there were potential software limitations there in however the original game was structured. I recently read a comment on Reddit that said “You should never judge a Tales game by the first 10-15 hours.” While this seems a bit of an overstatement, I completely understand their point. This game starts off as “OK this is a little formulaic but the combat system is fun” and turns into “OH. This? OK, let’s go!” For example, at the 15th hour or so you finally unlock the ability to craft an item that will let you switch the character you control in combat, mid-battle. This. Changes. EVERYTHING. That being said it is worth noting that you’ll be hard-pressed to find balance, and Yuri will always be your strongest character in the first run-through. Switching to other characters is similar to turning up the difficulty. By the time you hit New Game+ this does balance out a little more and your group becomes a team of badasses. Seriously, New Game+ is where this game shines. 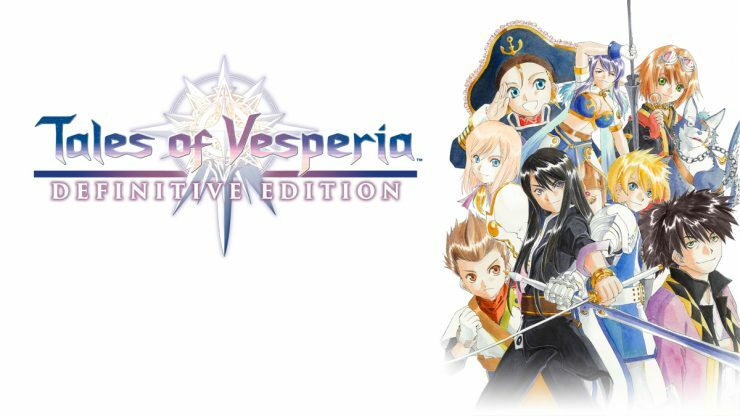 Tales of Vesperia Definitive Edition is an attractive game that fits nicely on the Nintendo Switch. Having this game with me everywhere I go has absolutely improved my life over the past week, and I imagine it will for many to come. 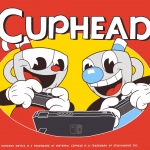 I’d highly recommend this game to both fans of the old and newcomers alike. Dive in and enjoy.